National Vinyl Products one of the Leading USA Suppliers of Vinyl Fence is Now in your City brought to you by Derkson Backyards. 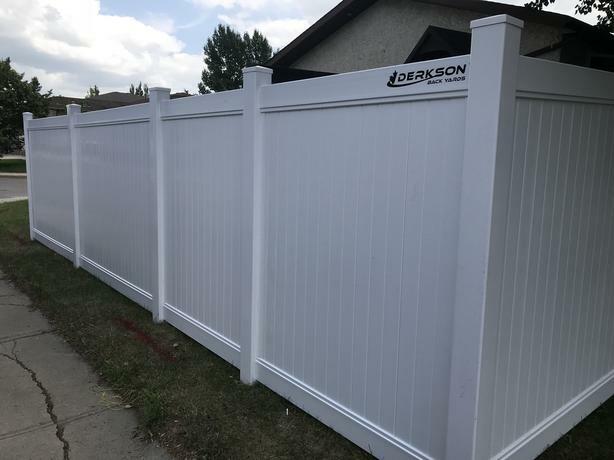 Get your NVP 6 FT Tall White Vinyl Fence DIY Supply From $23.95 Per Ft, DIY Gates From $299.95 Free Post pounder rentals, and Professional Certified Installer guidance to answer any questions. Don't be fooled with cheep china material others are trying to pass off, we will show you how you can tell the difference. Gates starting at $200 DIY Priced, *3 FT wide * other sizes and custom sizes available just ask a Rep for Costing. FOREVER FENCE, BUILT RIGHT, DONE RIGHT, BUILT TO LAST, PERIOD! !